Fertility preservation services at California IVF Fertility Center offers many patients the option of freezing eggs, sperm, or embryos for future use. Fertility preservation services can be used in the setting of career building or delaying fertility until a person is ready to build a family. Many of today’s career oriented women risk their chances of pregnancy by waiting until later in life to have a baby. Women should understand the risks of increasing age as they delay their child bearing years. Fortunately, advances in cryopreservation, or freezing techniques, have improved tremendously. Women are now offered more choices when contemplating a delay in having a baby. Fertility preservation services are also frequently used in the setting of a cancer diagnosis and cancer treatments. As cancer treatments become more successful, patients are surviving their treatments and often look forward to building a family. Cancer treatments such as chemotherapy and radiation can have a significant effect on sperm and egg quality. In many cases, there can be irreversible damage that will lead to infertility. There is increasing pressure on cancer specialists, known as oncologists, to inform patients about their options for fertility preservation. California IVF Fertility Center is able to work with your cancer specialists to coordinate the preservation of sperm and embryos for future fertility. As oocyte cryopreservation services improve, centers across the United States will be able to offer egg freezing as an option. California IVF has experience with vitrification, the rapid freezing technique required to freeze eggs. We have successfully frozen and thawed oocytes that were able to be fertilized and progress to live births. Very few clinics have live births from their oocyte freezing programs. While this technique is no longer considered experimental, patients should be very careful selecting a clinic for oocyte cryopreservation as many clinics are not yet proficient in the required techniques. Our doctors and staff are available to help with questions regarding fertility preservation. We realize the time to make decisions and proceed with treatments is very limited. We are able to discuss treatment time lines and options available to you on short notice. If you are facing treatments in the near future, please do not hesitate to contact us immediately. We can provide information about our services without an appointment. When you are ready, we can schedule an appointment with one of our physicians. At your initial new patient appointment, your options and estimated time line will be reviewed. After the new patient appointment, men are usually able to start collecting samples immediately. Collecting eggs requires more coordination and timing, but we will gladly walk you through all of the necessary steps. Once the eggs, sperm, or embryos are frozen, patients may proceed with their treatments with the comfort of knowing there are reproductive options available in the future, even in the even that cancer treatment damages sperm or egg quality and function. Future treatments may include intrauterine insemination, in vitro fertilization, donor sperm and donor eggs, and even embryo adoption. We are able to combine our fertility preservation services with the latest advancements in pre-implantation genetic diagnosis (PGD) for patients that have inheritable abnormalities that can predispose children to cancer. By screening embryos for the presence of genetic markers, we are able to minimize the risk of our patients having a child with an inherited disorder. Depending on the type of cancer a person has, a genetic marker may be available to help avoid having a baby affected by the same disease. 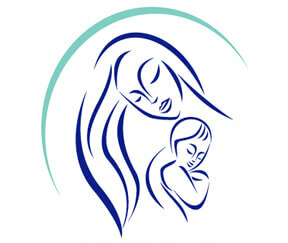 California IVF Fertility Center has been performing PGD and PGS services since 2006. We have close relationships with various genetic testing partners as a result of our extensive experience with genetic testing of embryos. Please call us with any additional questions. We will be happy to provide you with information on the available genetic markers and discuss options that may be of interest to you. The American Society for Reproductive Medicine provides patients with expert information which can be useful for making an informed treatment decision. ASRM’s fertility preservation materials can be found here. The American Cancer Society has published information about fertility preservation for patients facing cancer.